I was at my desk doing some work and boom what do I see right in front of me; a GENIE! He smiled his cutest bubbly smile and thanked me repeatedly. Confused about the entire situation, I kind of pinched myself in the arm. I winced. I am awake I thought to myself and rubbed my eyes gently. Still nothing changed; the cubby mini-fellow was sitting alongside my keyboard and looking at me and smiling broadly. He looked at me and winked… You get three wishes for saving my life… Wish away he said. I continued to stare at him and summed up some courage to say, “Why three? That was centuries ago, today women want so much more. I want six wishes. If you truly are a Wish-Genie grant me a super six combo”. An array of funny expressions played onto his face and then after numerous precious second he said ‘Granted’. Excited I started thinking about what all I could wish for… And I began with much enthusiasm and said. I want special access to every product in the world, at a better price with the quickest delivery much before anyone else in the world has any inclination about it ….. I want a zillion options of the same thing before I decide what the best one for me to get is ….. I also want some super deals and offers for the day that beat anything and everything all around the world…. 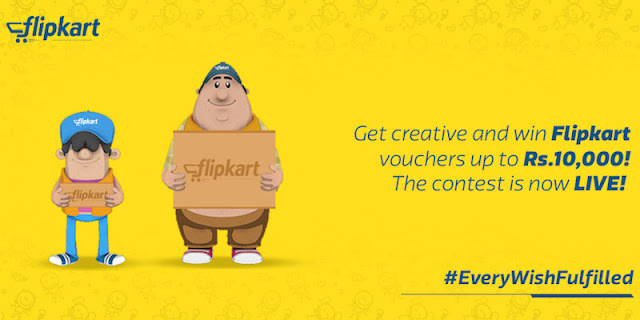 No sooner did he say that I saw my little princess surfing on my mobile watching the #EveryWishFulfilled advert by Flipkart. As we sat watching the advert together we smiled our way through. We loved the infusion of animation within the advert and the cute cuddly wish man. The advert is so true to a real life scenario where the Wish Man ensures all our wishes come true. With a Wish Man from Flipkart who would need any Genie? So off I go to wishing some more.